This book provides a lucid and compelling analysis of the BSE crisis and how policy-making processes were managed, and of how and why they culminated in catastrophic failure. It is the first comprehensive scholarly analysis of the relationship between science and politics in BSE policy-making. The book re-assesses the conclusions of the Phillips enquiry into the UK government's handling of the BSE epidemic as well as extending and supplementing the analysis. Thebook evaluates emerging public health policy changes in the light of the experience with the BSE crisis. 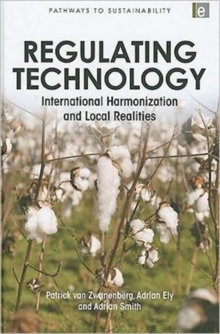 The ways in which risks, from challenges such as BSE, GM crops, mobile phone masts and global warming, used to be assessed and managed are no longer adequate or acceptable. Traditional arrangements are no longer seen as having either scientific or democratic legitimacy. Governments, scientific advisors, and many stakeholder groups recognise that a new approach to risk policy-making is needed. New structures and processes should be able to provide greater scientific and democratic legitimacy. While BSE policy-making in the UK is a central focus of BSE: risk, science and governance comparisons with policy-making at the European Commission and other European countries are also provided. 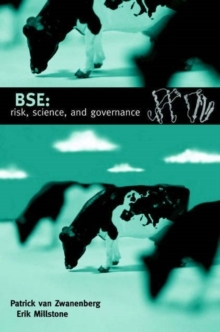 The authors develop an analysis of how and why BSE policy-making failed and then derive a general setof lessons about how science-based risk policy-making should be understood and re-organised. Those lessons are applicable across the entire field of risk policy-making and can apply in all jurisdictions. 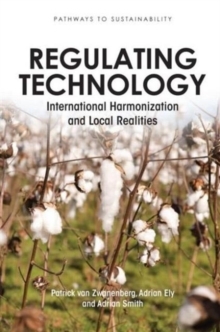 The book is directed at those involved in science policy, risk and public health as well as public officials, scientists and policy makers responsible for dealing with issues of risk, public health and policy making. The book will provide a unique analysis based on very real issues of interest across Europe. The authors are well-respected researchers who have published widely on this subject and have recently completed a multi-country study of how BSE has been handled.